Dr. Christophe Golay is the Coordinator of the Project on Economic, Social and Cultural Rights and Research Fellow at the Geneva Academy of International Humanitarian Law and Human Rights. His main research areas are related to the right to food, access to justice for victims of human rights violations and the work of the UN Special Procedures on economic, social and cultural rights (ESCR). He carries out research for the Swiss Government on ESCR and trains professionals in ESCR at the Geneva Academy. 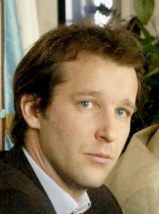 Christophe Golay holds a PhD in International Relations (specialisation in International Law) and a double Master in International Law and International Relations from the Graduate Institute of International and Development Studies in Geneva. From 2001 to 2008 he was legal adviser to Jean Ziegler, the first UN Special Rapporteur on the right to food. He has served on United Nations missions in many countries including Brazil, Guatemala, Bolivia, Cuba, Niger, Ethiopia, Bangladesh, India and the Occupied Palestinian Territories. Dr. Golay is a lecturer at the Geneva Center for Education and Research in Humanitarian Action, mainly focusing on human rights and food security. He is also a lecturer at the University of Fribourg and member of the Council of its Interdisciplinary Institute for Ethics and Human Rights. Economic, Social, and Cultural Rights in International Law. Contemporary Issues and Challenges. Edited by Eibe Riedel, Gilles Giacca, and Christophe Golay, Oxford, Oxford University Press, 2014, 560 p.
“Human Rights Responses to Land Grabbing: a right to food perspective“. Co-authored by Christophe Golay and Irene Biglino, 34 Third World Quarterly, 2013, pp. 1630-165. “Economic, Social and Cultural Rights“, Co-authored by Christophe Golay, Irene Biglino and Ivona Truscan, 2 European Journal of Human Rights, 2013, pp. 269-296. “The Contribution of UN Special Procedures to the Human Rights and Development Dialogue”. Co-authored by Christophe Golay, Irene Biglino and Ivona Truscan, 17 SUR International Journal on Human Rights, 2012, pp. 15-37. Available in English, Spanish and Portuguese here. The Fight for the Right to Food: Lessons Learned. Co-authored by Jean Ziegler, Christophe Golay, Claire Mahon and Sally-Anne Way, Palgrave Macmillan, 2011, 440 p.
Droit à l’alimentation et accès à la justice. By Christophe Golay, Bruxelles, Bruylant, 2011, 356 p.
“The Impact of the UN Special Procedures on the Development and Implementation of Economic, Social and Cultural Rights”. Co-authored by Christophe Golay, Claire Mahon and Ioana Cismas, 15 The International Journal of Human Rights, 2011, pp. 299-318. Available here. “The Food Crisis and Food Security: Towards a New World Food Order?”. By Christophe Golay, 1 International Development Policy Series, 2010, pp. 215-232. Available in English. Switzerland and Economic, Social and Cultural Rights. Edited by Christophe Golay, 2013. Available in French and German. The Right to Food and Global Strategic Frameworks: The Global Strategic Framework for Food Security and Nutrition (GSF) and the UN Comprehensive Framework of Action, with Michaela Büschi, Rome, FAO, 2012, 39 p. Available here. “Claiming the Right to Food and Nutrition!” in Bread for the World, FIAN International, Interchurch Organisation for Development Cooperation, Right to Food and Nutrition Watch 2011. Claiming Human Rights. The Accountability Challenge, Germany, 2011, pp. 13-17. Available here. Legal Opinion on the Right to Property from a Human Rights’ Perspective, with Ioana Cismas, Montreal, Rights & Democracy, ADH-Geneva, 2010, 32 p. Available here. The right of peoples to self-determination and to permanent sovereignty over their natural resources seen from a human rights’ perspective, with Melik Özden, Geneva, CETIM, 2010, 64 p. Available here. The Right of Peasants, Critical Report No. 5, Geneva, CETIM, 2009, 22 p. Available here. The Right to Food and Access to Justice: Examples at the national, regional and international levels, Rome, FAO, 2009, 65 p. Available here. The Right to Water, Critical Report No. 6, Geneva, CETIM, 2009, 17 p. Available here. “Towards a Convention on the Rights of Peasants” in A. Paasch and S. Murphy (eds), The Global Food Challenge. Towards a Human Rights Approach to Trade and Investment Policies, 2009, pp. 102-111 Available here. The Global Food Crisis and the Right to Food, Critical Report No. 3, Geneva, CETIM, 2008, 14 p. Available here. Human Rights and Desertification: Exploring the Complementarity of International Human Rights Law and the United Nations Conventions to Combat Desertification, with Jean Ziegler, Grégoire de Kalbermatten, Liliane Ortega, Claire Mahon, Sally-Anne Way and Michaela Büschi, Bonn, UNDDC, 2008, 34 p. Available here. The Optional Protocol to the International Covenant on Economic, Social and Cultural Rights, Critical Report No. 2, Geneva, CETIM, 2008, 14 p. Available here. The Right to Housing, with Melik Özden, Geneva, CETIM, 2007, 60 p. Available here. The Right to Food, Geneva, CETIM, 2005, 54 p. Available here. Dr. Christophe Golay can be contacted at: christophe.golay@graduateinstitute.ch.